Do you want to post your Facebook posts as your Twitter tweets at the same time? With Auto Posting Facebook Fanpage Post as Your Twitter Tweets, there’s no need to rewrite the same post or updates twice or use a third party application. 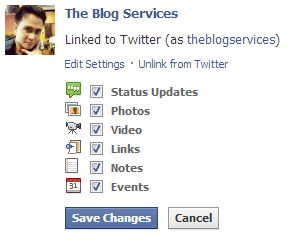 Facebook has been enabled this feature long time ago but lot of bloggers doesn't know this yet. Linking these two big social media all over the world maximizes your blog views and even posts your latest article. Now, imagine how good it is to see this kind of action happening wherein you don’t need to spend more time doing two things like posting in facebook and after that you will open your twitter account and post the same thing. If you can maximize your time by minimizing your action, it would be better. And besides, top bloggers do this and in a day, they can perform a lot of tasks. Now that you know about this thing, it is time to move. If you will not do something about your posts, nothing will happen. You have to promote them to social media and this two is the biggest. It’s easy to post to Twitter directly from Facebook Fanpage. 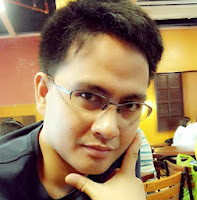 I will teach you how to do this with your articles. Step 1. 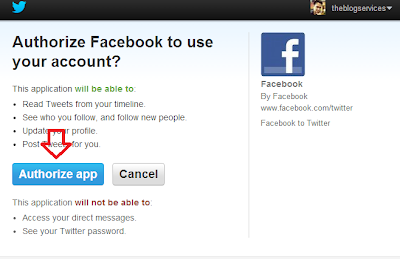 Login your Facebook and Twitter account using same browser (firefox, chrome, IE and the likes). Step 7. Your done, you can now test if its working by posting sample post into your fan page and see if it is already automatically posted as your twitter tweets. If you cannot see your facebook post on your twitter timeline you have to recheck your settings again and review the steps above if you done it all right. You should removed your Facebook linked to your twitter dashboard for not to double you post.